Rolling Hills Transit service began 2/2/15 to St.Charles, Eyota, and Dover. Buses run Monday – Friday, 7:00 am – 5:00 pm. 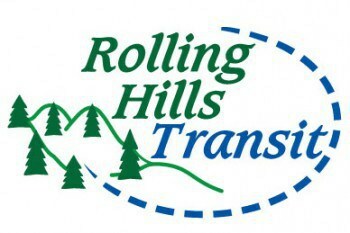 To schedule service call Rolling Hills Transit 1-800-528-7622 during business hours: Monday-Friday, 8:00-4:30. Fees: you can pay cash to the driver (must be exact amount drivers will not have the ability to give change) or purchase passes from: St. Charles City Hall, Mikes Food Center, Eyota City Hall, Eyota Market, or at Simple Soaps for Simple Folks in Dover. $1.50 for one way trip within the city. $3.00 for one way trip town to town: Dover or St. Charles. Trips to Rochester – $5.00. Senior Specials: There are special passes available $1.75 for a round trip to and from senior dining. For instance, you live in St. Charles and want to go to City Hall for senior dining, this pass will get you there and home for $1.75 instead of $1.50 each way. Wednesday grocery shopping – go to Mikes Food Center in St. Charles and receive a 5% discount on your groceries all day long and/or get the same 5% discount at the Eyota Market between 1:00-3:00 pm. The cities specifically negotiated with Rolling Hills Transit, SEMCAC and MN Department of Transportation (sponsors of service) to start this service with the hours of 7:00 to 5:00. Hopefully it will be beneficial to provide rides for kids getting to and from after school activities. This service is handicapped accessible and available to everyone. Door to door service, no need to get to a designated bus stop.